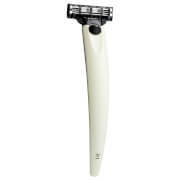 The Bolin Webb Men's R1 Razor in argent is a smooth, hygienic razor that will allow you to achieve a close and comfortable shave. 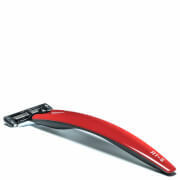 With a lacquered metal handle and a bacteria-resistant rubber underside for a comfortable grip, this stylish razor will accept Gillette Mach3 blades. - L.M.